"Fast and light, the Jackal 2 is incredibly useful in combat – and you could be at the wheel. As a Light Cavalry Crewman, you’ll drive and fire this combat vehicle, as part of a three-strong team." 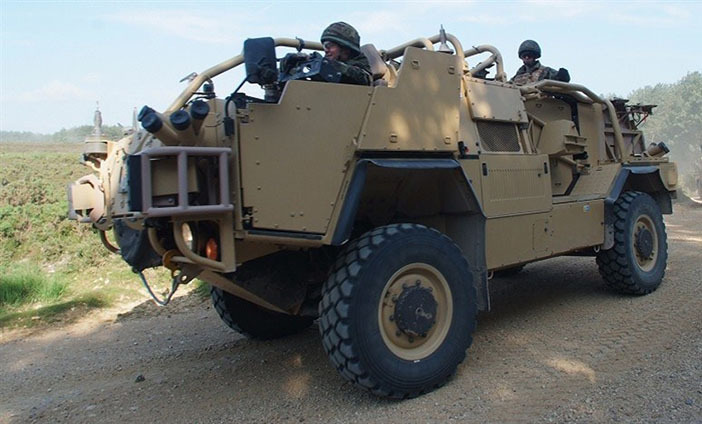 As a Light Cavalry Crewman you'll be part of a crew of soldiers operating the Jackal all-terrain vehicle. After three months of basic training you'll have further training at the Armoured Centre, Bovington. If you can’t drive yet, we’ll teach you. You’ll get your car and HGV (Cat B and C) driving licences and go on to learn how to drive and maintain the Jackal and fire its weapons. Then you'll join the unit you're selected into and start playing a part in regimental life. You'll start with your initial military training which will teach you how to be a soldier - this will cover everything from fieldcraft to how to handle a rifle. If you join as a Junior Soldier (under 17 years 5 months), you’ll do a 49-week basic military training course at Harrogate. If you join as a Regular Soldier (over 17 years 1 month), you’ll do the regular 14-week adult basic training. Next, you’ll head to Bovington, Dorset for 20 weeks of specialist training, to develop your technical skills. You will complete your driving licence (if you don't already have it) and then move on to your HGV Class 2 (C Licence) before getting to grips with driving the fast and manoeuvrable Jackal 2. You will also learn how to maintain and fix the Jackal, use the radios and operate the heavy weapons. "Light Cavalry provide security during operations and help other nations to train their military all over the world. We are able to work for a long time on our own with minimal support from other soldiers - this makes us independent, a strong team and very good at what we do!" Your training will take place at your local regiment, where you’ll learn the basics of soldiering.